We love learning about new barefoot shoe offerings on the marketplace, and technically while, Kigo Footwear, is not a brand new company they were new to us . We learned about them when we stumbled upon them in a Runner’s World forum thread. Intrigued by these shoes we had to learn more since we hadn’t heard about them before. 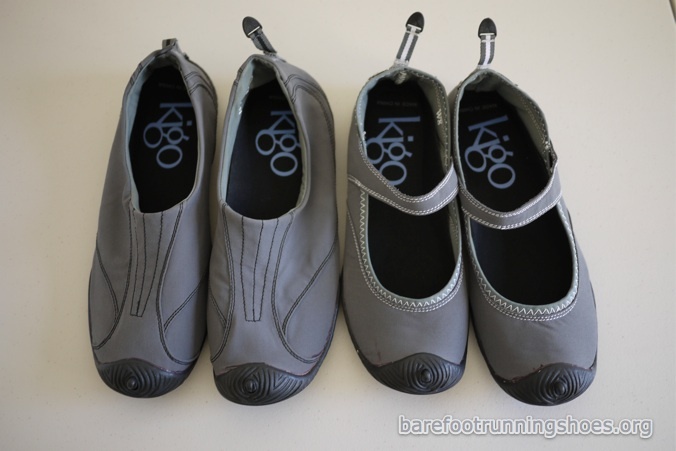 So we contacted them and were delighted they were willing to send us a pair of their Kigo Star and Kigo Shel shoes to review and test out for ourselves. So first a little about Kigo Footwear. Kigo Footwear is dedicated to making minimalist shoes which not only promote a barefoot lifestyle, but are also eco-friendly. They accomplish the first part (the barefoot part) by using a very thin and flexible shoe sole which flexes naturally while your foot moves and they accomplish the second part (the eco-friendly) by using materials like recycled nylon linings and water based glues. The Kigo Shel is unisex shoe for men and women with active lifestyles. Designed to be a daily walking shoe or a running shoe. A woman’s Mary Jane styled shoe that offers a little more fashion for those who don’t want to sacrifice barefoot comfort. Anyway, keep an eye out for our full review of these shoes once we’ve had some more time to get a good feel for them. The Superfeet Insole Review: What Can Premium Insoles Do For You? Next post: Vibram Bikilas In Stock-Order Before They Run Out!